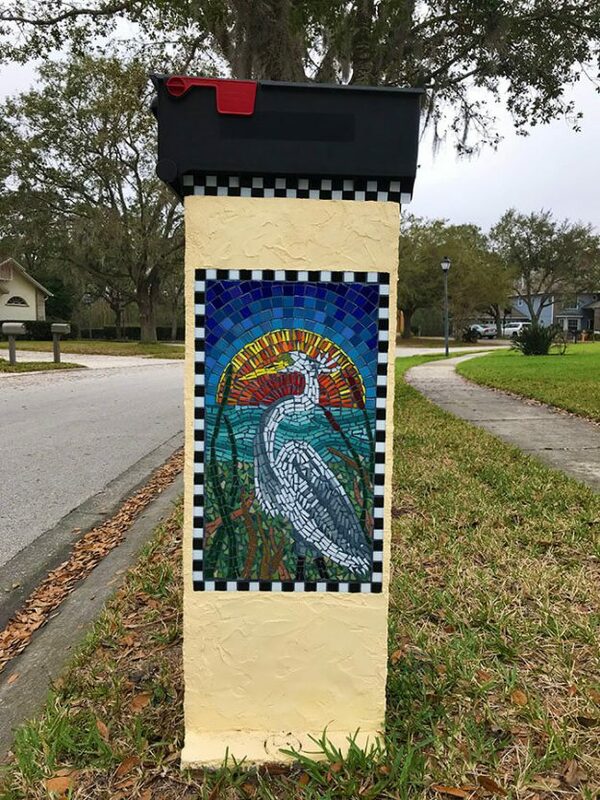 Putting a mosaic on a metal mailbox is problematic because either the metal is painted and you risk the mosaic not adhering well, or because the the metal is bare, and then the thinset mortar is likely to oxidize (rust) the metal over the years. Note: My neighbor put a pique assiette mosaic on her galvanized steel mailbox, and it has lasted for years with no obvious signs of rusting. It can be done. 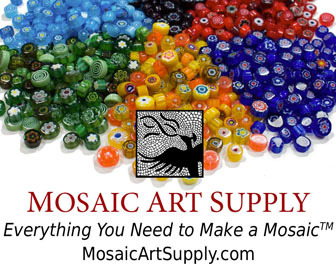 Fortunately, there is an alternative that makes more sense for mosaic, and that is to build a column of field stones or bricks or cinder blocks and then plaster over that with mortar and put the mosaic on the smoothed surface. In this design, the mailbox can be mounted on top of the column or built into a niche in the column near the top. This entry was posted in Uncategorized on March 12, 2018 by Joe Moorman.